The recently-shuttered Our Way Cafe in Avondale Estates won't sit dark long. 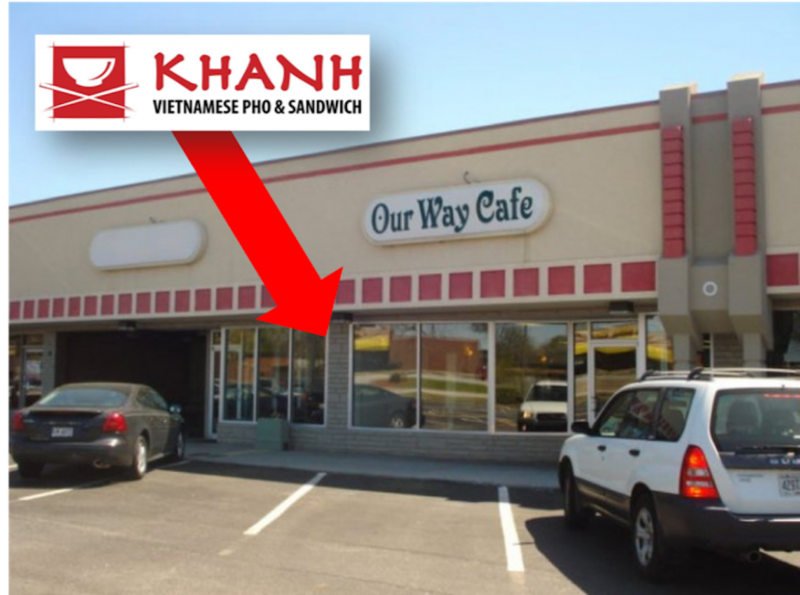 Khanh Vietnamese Kitchen, a sister concept to Duluth's Khanh Vietnamese Pho and Sandwich, later this year will open in the restaurant's place. "I think the Atlanta area has some of the best Vietnamese food in the United States if not the world," Dinh Tran, Khanh Vietnamese Kitchen's co-owner in a telephone interview told What Now Atlanta Friday. "Our family wants to focus on truly authentic Vietnamese Pho." "For me, I like to cook everything fresh the same day that it's served," Tran said. "Our preparation will be similar to how its done in Vietnam where chefs start cooking at 3 a.m. until lunch service." The restaurant will also look and feel like it's straight out of Vietnam, according to Tran. Its kitchen will be "pulled all the way to the front door" and the dining area will adorn "the colors of Vietnam." "I'm very proud of our food," Tran said. "It's very fresh, healthy, and flavorful." string(46) "2831 E College Ave, Avondale Estates, GA 30002"
Sorry to hear about Our Way, but I love Vietnamese food and am glad a great sounding concept will be taking over the site so quickly. I’m happy about this. I love Vietnamese food and would love to be able to get it in Decatur/Avondale.